TRANQUIL COUNTRY SETTINGNestled at the back of a quaint neighborhood, you will enter a beautiful tree-lined driveway leading to a private oasis. 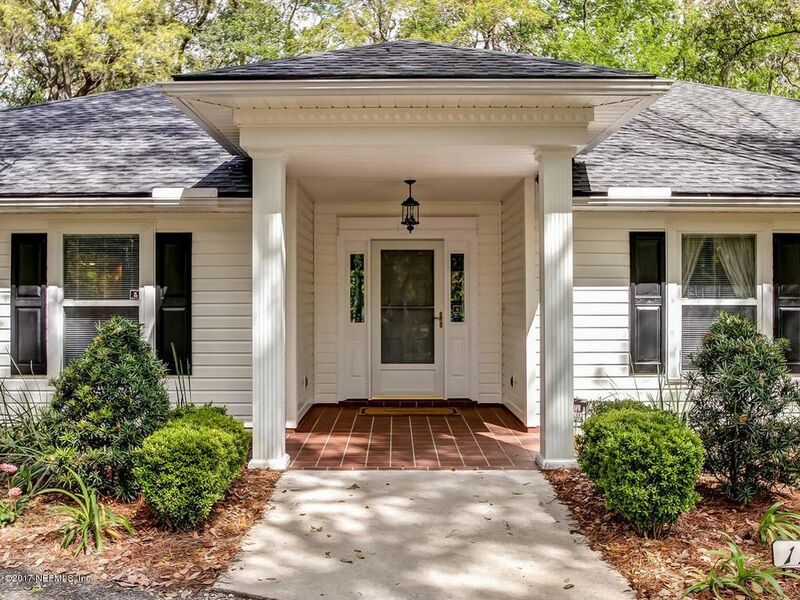 This custom built 3 bedroom 2 bath home has been lovingly maintained with timeless design features, including beautiful hardwood floors, crown molding, a brick fireplace with built-ins and spacious rooms. The low maintenance lush landscaping will draw you outdoors where you can entertain or simply enjoy the tranquility of your backyard. You will feel like you are living in the country in the Heart of Mandarin close to A1 schools, shopping, libraries, quick access to the interstate and 20 minutes from the beach. New Roof & water heater in 2017! New Trane A/C in 2009! No HOA or CDD fees!, This home comes w/a transferable termite bond & a one year home warranty. Conveniently located to nearby shopping, restaurants & the I-295 belt-way makes it a short commute to downtown & beaches. Directions: From I-295 Go South On St Augustine To Right On Loretto To Right On St Josephs Rd. Go Almost To The End And Right Before Cul-De-Sac Turn Right And Follow Sign To 11509.